What you see above is a quick and dirty mockup of a Ty Cobb baseball card, painted by Graig Kreindler, which will be part of a 2019 Topps 150 Years of Baseball set that looks back on 15 decades of MLB greatness. Unlike “regular” Topps trading cards, these online cards are sold for seven days each, with three new cards issued every Tuesday. You can see the current set of three offerings here, with three new cards to be offered this coming Tuesday. The Kreindler painting of Ty Cobb will be available for one week, beginning this Tuesday. The Topps 150 Years of Baseball is a different way to collect baseball cards. It’s not available in stores, and you can purchase the cards individually. The 150 Years of Baseball cards will sell for $7.99 each and each card comes printed on 16-point stock. These cards will be available for just a week (then I guess you’d need to head to e-Bay), and are printed on-demand. The print-to-order set sticks with the history of the game, and it breaks down the selection into themed subsets such as “Artist Renditions,” “Historic Moments,” “Records and Award Winners,” and “Rookie Campaigns.” Graig’s work will be featured in the “Artist Renditions” subset. Weekend readers especially know I often feature Graig’s work on here, so when I found out a couple weeks ago he’d be having his work featured on Topps baseball cards, I was thrilled for him. I wanted to find out more about this project, so I spoke with him about it earlier this week. Uni Watch: This is fantastic news, Graig! So, the first card — the Ty Cobb I mocked up above — will be released this Tuesday. Are you getting psyched? Graig Kreindler: Thanks so much, Phil! And thanks for having me back on Uni Watch – it’s always an honor. I’m definitely getting psyched for this first card to be released. When I was younger, I dreamt of having this kind of opportunity, as you may recall that seeing my father’s old baseball cards from the late 1940s and early 1950s was one of the first times I realized that artwork could even appear on a baseball card. So I guess in a sense, this has kind of been the fulfillment of a lifelong goal. UW: Of the 150 cards, you’re slated to do 20. These will all be originals done specifically for their special set? GK: All twenty of these paintings are to be done specifically for Topps’ use in this set. UW: And your “subset” will be the “Artist Renditions.” Are you the only artist being commissioned for this project? GK: I am unsure as to whether I’m the only artist being used in the set, but I haven’t heard rumblings of anybody else being involved. Whether I am flying solo or part of a team, it’s still a pretty intimidating (yet incredibly fun) workload. UW: The first card releases this Tuesday, April 16th. When will the next one be released, and who will be the featured player? 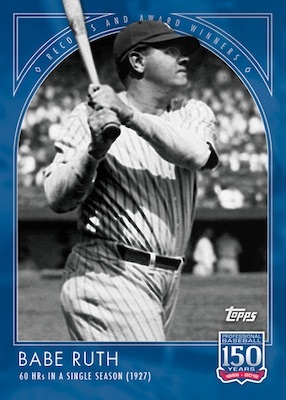 GK: I was told that the next card of the subset – which is to feature Lou Gehrig – will be available to the public on Tuesday, April 30th. UW: Is the Gehrig artwork done? UW: Do you know all 20 you’ll eventually do? If not, do you know who the next few will be? GK: I haven’t been given a comprehensive list of everyone that I’ll be painting, but I do know that the next group of five includes Roberto Clemente, Ted Williams, Duke Snider, Bob Feller and Warren Spahn. UW: How often will your work be featured? GK: As of now, the plan is to release a new card featuring my artwork every two weeks – I just of course have to keep up with the workload. UW: Topps releases a new set of three every week, so you’ll basically be having a card in every other set? UW: In the intro I mentioned this is a “print on demand” type of thing. Can you tell me more about that? GK: This is where things get a little interesting. When most people think of baseball cards, visions of wax packs probably float around, not to mention stale gum. However, in the past few years, Topps has tried out this new model of doing business in addition to the old tried and true methods. They’ve entered the world of print on demand, where they’ll make a card or group of cards available for a limited time. In the case of Topps, maybe the most well-known venture using this method, each card is only available for twenty-four hours. Once the time is up, the print run is sealed, and no more than that number will ever be printed again. In the case of the 150 Years of Baseball set, each card released on Tuesdays will be available for a full week. UW: Can we see the original Cobb artwork you painted for this set? UW: Do you think the final product will look similar to my mockup? Is this something that might change? GK: I think what you’ve made will be pretty true to what the fellas at Topps come up with. It’s possible that the border will be made a little bit thinner to showcase the art more, but that’s just a guess on my part. Also, I may or may not be painting some subjects in a horizontal format – that much isn’t quite clear. UW: How does the actual printing work? You paint the player, then it gets photographed and sent to them? Do you also send them the painting itself, or do you hold onto that? GK: The way this whole thing works is that they’ll give me the player name, and then I team up with Topps to pick an image that I feel would translate well onto canvas. Their concern was to depict each player with the team they are most commonly identified with, and also on the younger side and/or close to the player’s prime. Once the image is agreed upon, I paint the thing over the course of a few days. After the piece has dried and been varnished, I’ll take it over to my great photographer, who provides me with a high quality file soon after. Topps is sent the color-corrected image and they work from that. UW: How big are your actual paintings? And what is the medium? GK: The paintings themselves are small – only 6″ x 8″, and on linen mounted to board. They’re only a tiny bit larger than my color studies, which are 5″ x 7″. I’m doing them small in order to make sure I meet the deadlines, as well as to keep me from getting carried away. Since the paintings will be shrunk down to about 2.5″ x 3.5″, they should tighten up really nicely. UW: So, you’ll be keeping them then? Are they going to be for sale? GK: I’m pretty sure I’ll end up offering the pieces up for sale in some manner. UW: This is probably getting ahead of things, but say someone reading this is interested in purchasing the original — can I have them contact you directly? GK: Absolutely! Your readers can always contact me via email at gkreindler@gmail, or via social media platforms. UW: Other than the players you told me about earlier, do you know who else you’ll be painting? Is that up to you or Topps, or is it mutual? GK: I haven’t been told much about who’s coming next, but I imagine that for the most part, I’ll be staying in the earlier eras of the game. There was, however, talk of having me do a modern player or two – the name Ken Griffey Jr. was thrown around, but I can’t confirm that yet. UW: I imagine you must be very busy these days! About how long do you take to finish one of these paintings? GK: Between my kids and other commissions, the schedule’s about as packed as it can be. I’d say that each painting is taking about 6-8 hours from start to finish, which gets stretched out over the course of a few days. UW: And after you finish it, then it needs to be photographed and sent off to Topps. How much lead time to they require? GK: So far, the deadlines they’ve given me have been about 4 days before the release of the card. Though, I keep them updated with photos of my progress whenever any is made, and in turn, I’m told they’ve been using those to get a jump on the design process. UW: Will these all be portraits or will they be “action” shots? GK: I’m not sure whether there will be any action shots, but, if I can find/think of any that are indicative of a player – say a batting stance or wind-up that’s specific to them – it might be something I’d push for. UW: Who decides what image to use? Do you show Topps a photo and say “I like this” or do they dictate that? How’s that work? GK: In the end, I believe Topps would have the final say, but so far, we’ve been working very mutually on the whole process. In other words, they want to make sure that I’m painting something I’m happy with, and I want to make sure they’re getting an image they feel works with their vision for the set. UW: Besides the 150 Years cards, do you have anything else in the hopper with Topps? GK: Other than the work I’m doing for this set, there’s nothing else I have going on with Topps. UW: How did Topps decide to work with you? Did they approach you, did you go to them, or through an intermediary? GK: Originally, Topps had wanted to work with me for a project a few years back, but nothing ever came of it. I’m not sure how this project got started, whether they had had me in mind, or my agent had piqued their interest again, but it sort of came out of nowhere for me. UW: Anything else you’d like to add or that I forgot to ask you? GK: I’d just love to thank everyone (including you) for all of the support they’ve shown me over the years. I’m INCREDIBLY lucky to be able to do something I love for a living, and I hope that in the end, I do these players – or the memory of them – proud. UW: Awesome, and Congratulations! I know what I’ll be doing Tuesday — ordering a Cobb! I haven’t bought a baseball card in 20 years, but that’s ending now. How great is that? If you want to order the first of Graig’s Topps cards, click this link beginning this Tuesday (the card will be available for a week). The next one will be offered two weeks later, and then there should be a new card available about every two weeks (neither Graig nor I have the schedule, so I’d check that link often). Sparty released their new alternate yesterday morning, prior to their spring game. Yowsa! We were tipped off Friday the team might be including a neon green helmet decal, but no one realized they’d be adding the neon lime to the whole set. This is an alternate, and I’m not sure when (or even if) it will be worn this fall, but it’s … something. Aside from the neon Sparty decal on the hats, the team will have “STATE” in giant neon green letters that can be read from space, neon green shoulder cap logos, and full neon green pants. 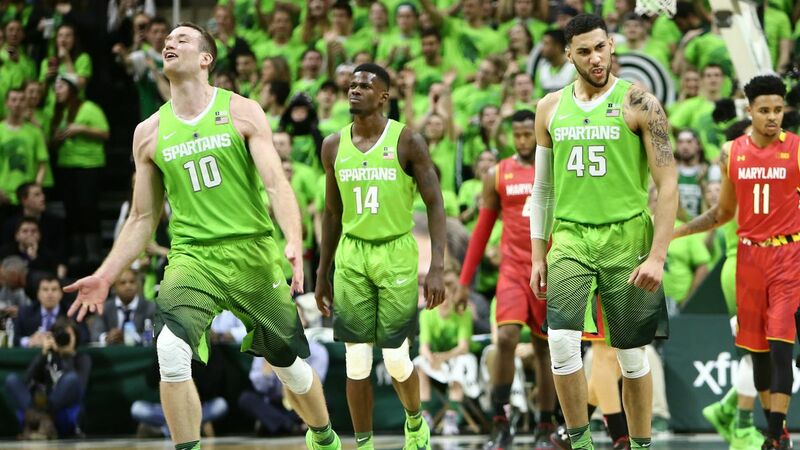 If you said, “Hey, I’ve seen Sparty in neon green before,” you’d be correct. It was an awful look then, and I’m not sure it will look any better on a football uni. Hey Michigan State, why are you using Seattle Seahawk Gloves instead of Michigan State Gloves to show off your new jerseys? 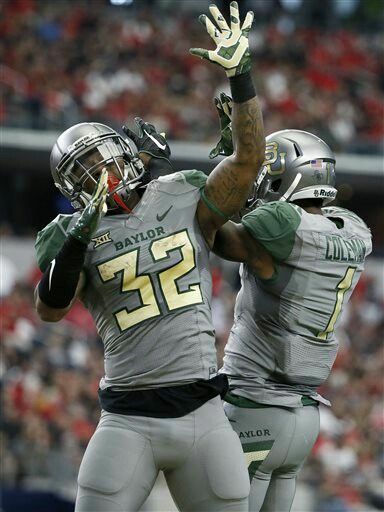 Baylor not only introduced a SWEET new set of football uniforms yesterday, they unveiled a new look across all sports. The most glaring change, since the team had previously worn a metallic/Vegas gold as their green/gold color, was the switch to athletic gold (a MUCH better look) for Football. They’d previously worn athletic gold in that color scheme in other sports. I LOVE the new football unis — they unveiled three sets yesterday (green, gold and white) and only showed them (so far) as mono looks. I’d imagine they’ll mix and match (I hope they do) throughout the season, although last year Oregon did something similar and didn’t mix/match throughout the regular season (they did for their Bowl game vs. Sparty). So we’ll see how Baylor approaches that this fall. I don’t know if these are the only unis the team will introduce for this year (remember, they’ve had both BFBS and GFGS unis in the past). Aside from the switch to athletic gold, the most glaring change is the elimination of the stupid paw print on the sleeve cap and shoulder. Gonna have to wait to see how these look on the field, but so far, I’m a big fan. I’m digging the new Bear logo on the collar too! 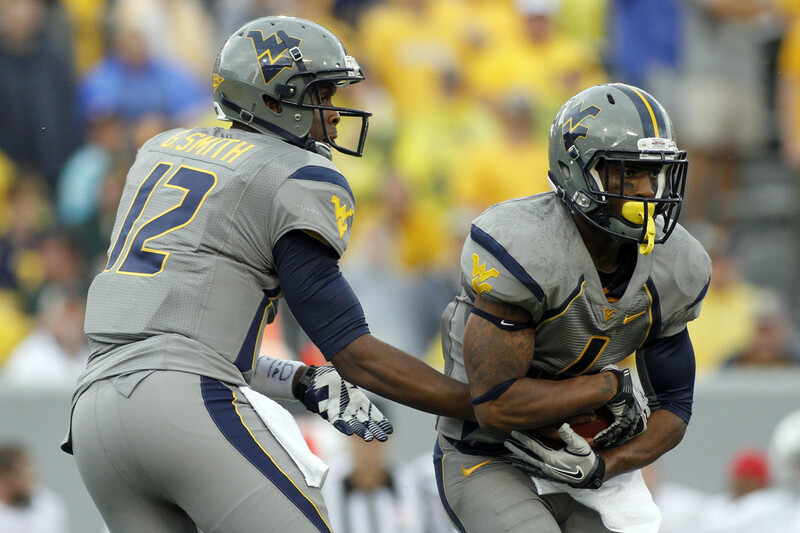 West Virginia also introduced new football uniforms yesterday — as you can see, they are pretty damn sweet. I’d say they’re damn near perfect, except for the introduction of one gray uniform. But they got the blue and gold, fixed the fonts, took the doo-dads off, and generally look fantastic. 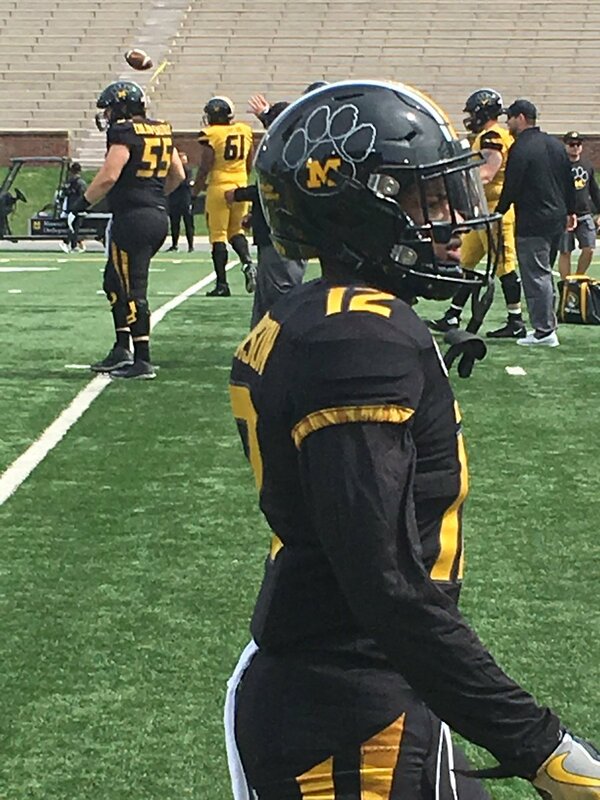 First off all, this is what they should have gone to instead of their previous uniforms, with that ridiculous “Pick Axe” font and superfluous black. The new fonts alone make this new uni a home run. They’re actually legible now! So far, it looks like the team will have two helmets: a navy blue and a white. Last year (and with the prior set), the team had blue, white and gold. I hope they add a gold back in later. The team already displayed a number of mix-and-match looks, so you can be sure that they will be doing so in 2019 and beyond. … and on the collars). Nike did this with Baylor’s new unis as well, and they’ve been using this kind of signature element on a lot of teams. I absolutely love the blue, gold and white unis. … Woof! That brings back bad memories. I guess they’re trying to push it off as “coal” (actually the school/Nike is calling it “Steel Gray” — seriously) but no — that’s light gray. I don’t think an anthracite (darker gray) would look any better, so maybe this is the lesser of two evils. Still, with all the other changes, I can’t help but love these. Yeah, OK. But either way, this was a fantastic upgrade and a really nice looking set of unis! Here they are, #WVU fans. More photos here or here. Also check out their Twitter account for Spring Game videos. Since the Friars have announced they’ll return the brown and yellow in 2020, here’s my take. New updated wordmark and logo with 3 alternates. Hope you like it! Love the site! Thanks Nick. OK readers (and concepters). If you have some tweaks or concepts, shoot ’em my way with a brief description of your creation and I’ll run ’em here. Baseball News: Nice touch by the Twins’ scoreboard operator on Friday, putting a Yule log on the scoreboard during snow removal (h/t @DJGloveRepair). 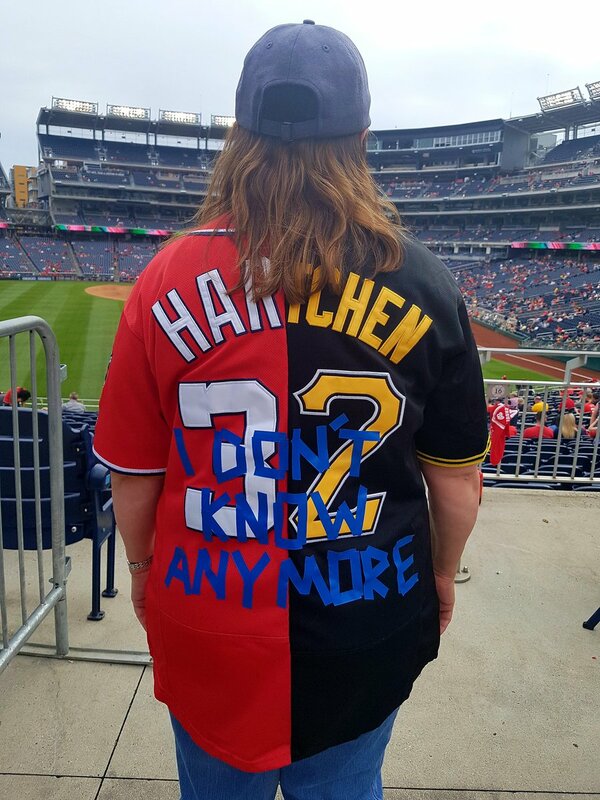 … “Nationals jersey circa 1997 ?? ?” asks Michael Miller. “Jackie Robinson anniversary patch spotted on Rendon jersey (Fri)day at Nats Park.” … A youth tournament yesterday featured two identically attired teams (from Darrell Dawson). … How cool are these negatives that Topps has on EBay of Tito Fuentes? “I love the headband!” says submitter Mark Palczewski. 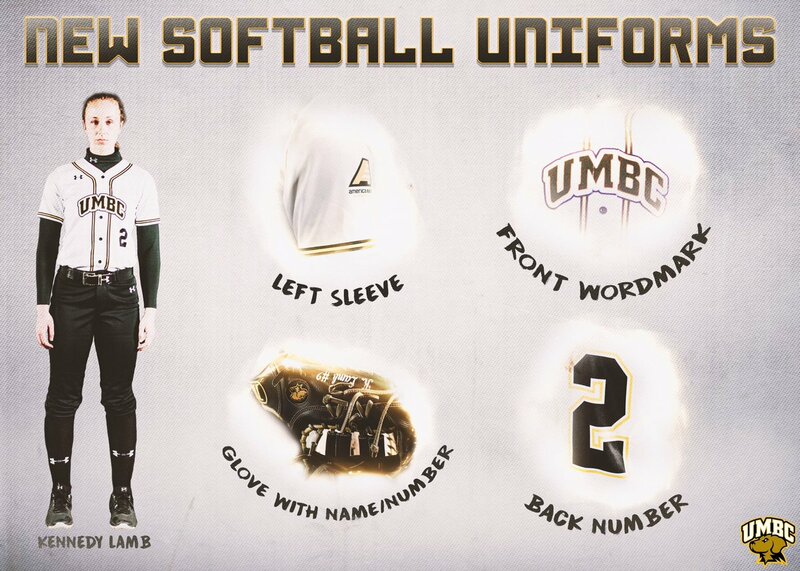 … UMBC (University of Maryland, Baltimore County) released new softball uniforms (via Paul). 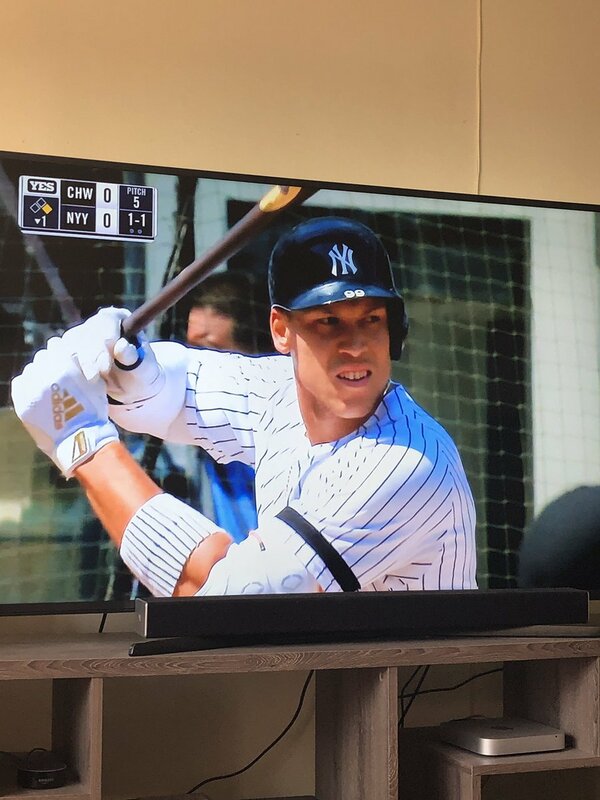 … Yesterday, Yankees slugger Aaron Judge was wearing a pinstriped forearm guard (from Conor White). Don’t think we’ve seen one of those before. … Here’s a look at Corona Del Sol HS in Tempe, AZ mixing it up with the Sox throwback jersey and Reds logo (from dylan, like bob). 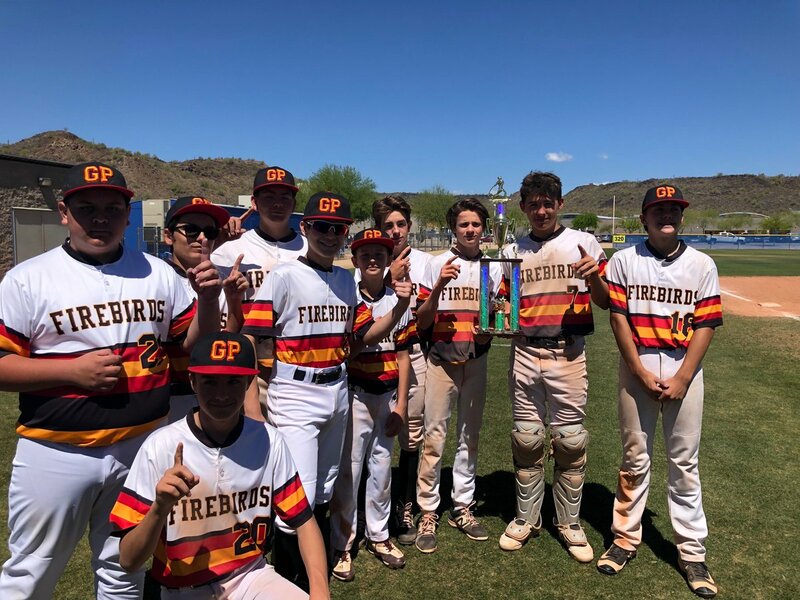 … Speaking of Arizona schools with the throwback look: here’s Gavilan Peak GLA K-8 (Anthem, AZ) tequila sunrise unis (from Adam Rainbolt). … Jim Vilk will hate this but I love it: Thousands of players wearing 42 this weekend Honoring Jackie Robinson in Atlanta! (from Training Legends). 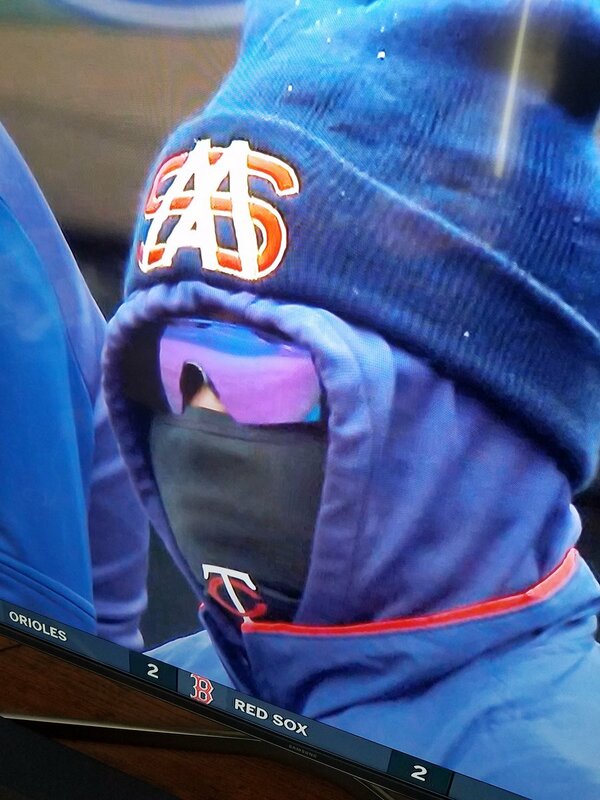 … Tweeter Chris Lather asks, “Spotted at the Twin’s game (yester)day. What is that logo on his hat? 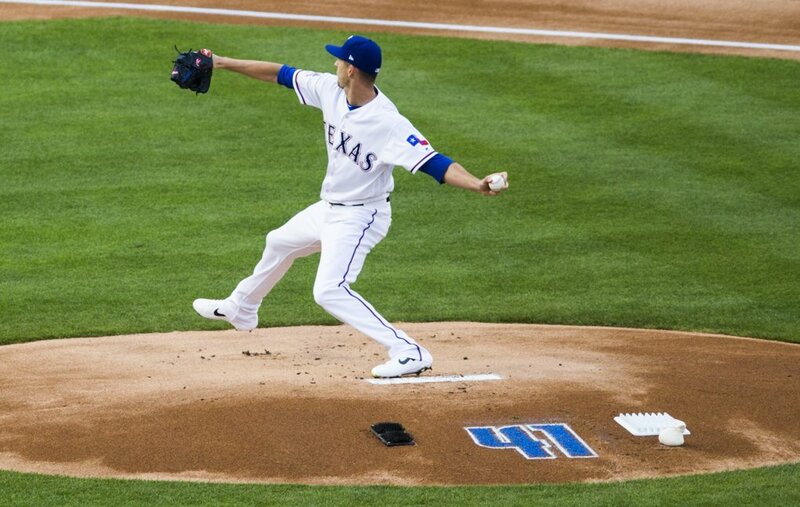 Does Miguel Sano have his own brand?” … ICYMI, on Friday, a 41 is painted on the back of the pitcher’s mound at for the Rangers v Athletics game in honor of Dirk Nowitzki’s retirement announcement (from Ashley Landis). … Remember that sub-lede earlier about the “European 7”? Well, the Asheville Tourists 3B John Cresto was wearing the Euro style 7 yesterday (from JD Hokie). … There are frankenjerseys…and then there are FrankenJerseys (from James Brooks). 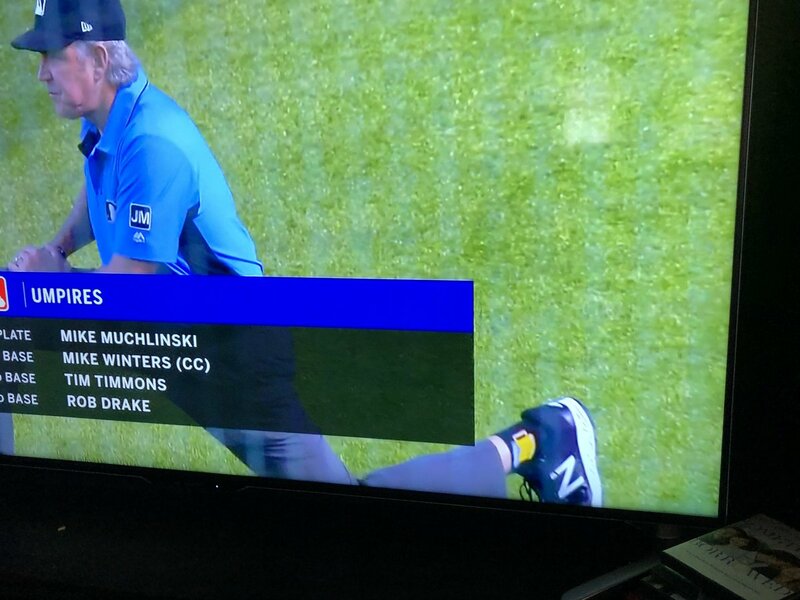 … Last night, Ump Mike Winters rocked the cold brewsky socks for the Padres v D-backs game (from Maximiliano. … Green Bay Booyah is a newly renamed team in Northwoods League baseball (from Scott Hurley). They also have a new mascot (from Ray Barrington). … Numerous folks sent this in: the Reds and Cardinals both wore “Ford” ads on their batting helmets for the Mexico Series. Gross. NFL News: “I’ve noticed that NFL players seemed to have worn black leather belts more commonly back in the day,” says Kurt Rozek. “Here’s a photo of Reggie White with the Packers in 1993 or 1994 (I forget if that’s a 75-year or anniversary Packers patch or a 75-year or anniversary NFL patch on his shoulder) and a photo from a Fran Tarkenton autobiography.” … Remember a couple years ago when the Eagles “midnight green” unis weren’t available because Nike couldn’t produce them in time? This side-by-side graphic shows they never did get it correct (good spot by Mike Wagner). NBA News: The Houston Rockets Nike has decided on the jersey options for the Rockets in their upcoming playoff series vs. the Utah Jazz. College Hoops News: The season (and NCAA Tournament) may be over, but that doesn’t still mean that local printers in Virginia are having a hard time keeping up with the demand for Virginia Cavaliers championship gear (from Tommy Turner). Soccer News: Yesterday’s ticker included a link showing (barely) the new Orlando Pride jersey. Here’s a much better look (from Live n Sleazy). … The US Women’s Soccer Team has given the Notorious RBG a jersey they wore last month honoring her during their “She Believes” campaign. … The New York Cosmos have new jerseys (from Ed Żelaski. In the Tito Fuentes baseball card photos, it appears he has drawn a smiley face inside the “O” on his TITO headband. I didn’t think I could admire Tito Fuentes more. Then today happened. 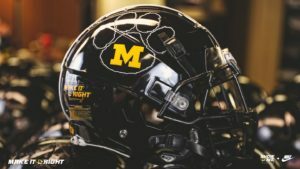 The Nike Global Identity Group write up on the WVU site (https://wvusports.com/news/2019/4/13/football-nikes-global-identity-group.aspx) does make reference to a third helmet, while only two were shown at the spring game reveal. Hopefully the third helmet will remain with the matte gold, and not a GFGS model. Glad to see WVU left the “Country Roads” decals on the helmet back plates. I love that touch. 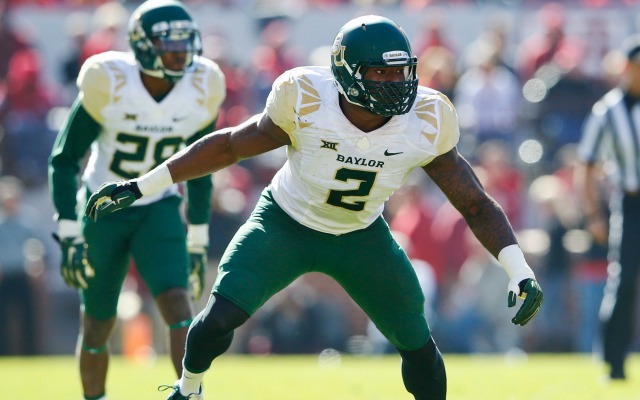 What exactly is good about the Baylor or WVU uniforms? They’re plain as possible and feel like an over-correction, similar to the Jaguars’ new set. You just answered your own question. It’s not an “over-correction,” it’s a return to good design. The same holds true for the Jaguars new set. There is absolutely no design whatsoever. It is possible to have decent uniforms with some interesting aspects. No design does not equal good design. We’ll agree to disagree. Just because a uniform doesn’t have all kinds of striping/piping/amorphous shapes, or giant honking “BAYLOR’ or “WVU” (for example) plastered on the chest or “EERS” down the leg, doesn’t mean it has “no design whatsoever.” A “plain” uniform indicates neither lack of design nor bad design. Are either teams’ unis perfect? I don’t think so, but I find the lack of superfluous/trendy elements both refreshing and a vast improvement. I wouldn’t call these no design. Penn State and Notre Dame are both classic looks, this isn’t that different. Kudos to Nike for showing a mix of restraint and common sense on the Baylor and WVU redesigns. Back to basics, no superfluous design elements, minimal non-school colors, legible fonts. It’s almost like they Get It(TM). Happy with the new uniforms from Baylor and WVU. Seem influenced by the new Jacksonville Jaguars uniforms with the simplicity of design. It works! Will be fun to tune into the college football uni tracker to see what uni combo each team will wear from week to week. Hopefully more schools will be influenced by keeping it simple instead of the gimmicky unis we see in college sports. I like the Michigan State uniforms except for 1 thing. The huge STATE across the front really hurts this uniform. I dig the dark green jersey over lime green pants. Something you don’t see often (if at all). The WV football uniforms look great except for some of the players pants being shorts. Green Bay Booyah would be fine as a one-off game with a team named after food (though I hate that trend). 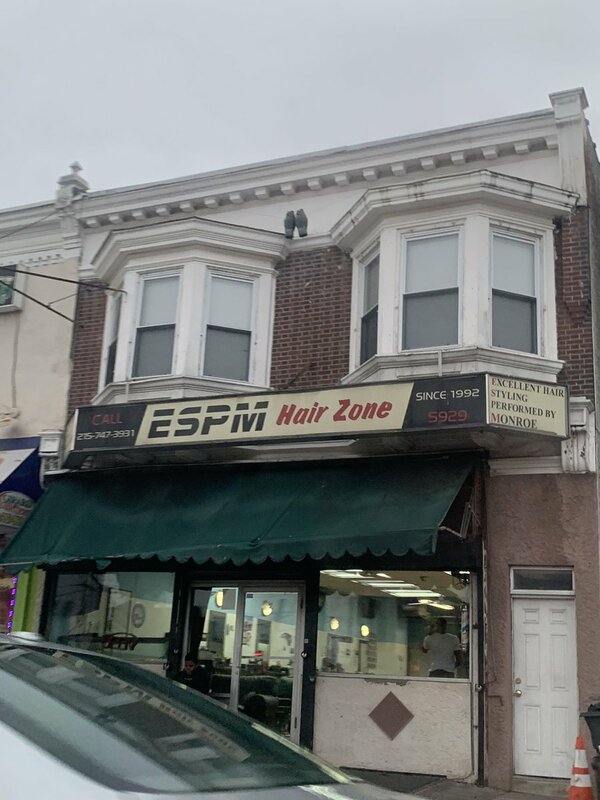 Not a fan of the team using it as their regular name. The hats and the uniforms with the checker design not good. A team featuring top college players needs to dress with some dignity. PH- why do you keep calling Kreindler’s paintings ‘originals’ when they are all copies? While he’s working from photographs (so yes, the painting isn’t one conceived in his mind), they’re not exact copies — though they are amazingly well done; in many (most?) cases, he’s working from a grainy black and white photograph, and I know for a fact he does extensive research to find the exact colors of his subject matter. We can argue on the definition of “original” but there is no doubt these are one-of-a-kind paintings. Regarding Meason Boomer’s ticker item, Auburn wears the old “Cam Newton era” uniform for A-Day, the spring game, every year. They have for many years. Has no bearing on the game uniforms for the upcoming season. Thank god for WVU. To me, the biggest/best change isn’t the uniform design, it’s the adjustment of the “5” to look less like an upside down “2”. I’m not typically one to complain, but where was this treatment whenever Pitt overhauled its entire uniform pallet last weekend and introduced a new logo? It was a tailor-made story for this website and it was almost completely ignored. There was a one sentence blurb about how some felt it looked like Jaguar’s logo, but nothing else and certainly nothing of any substance. Given that we’re talking about all these other comparable schools so much, I think they were short-changed, which is mildly disappointing for this long time avid reader. Those BEAUTIFUL (other than the font) unis were unveiled on a Sunday, so I couldn’t have covered them. That same day, the Warriors wore throwbacks, which Paul chose to lede with Monday. He did include a small sublede on the Pitt unis. Had Pitt unveiled Saturday, I would have led with that (over the Dubs) because I care a LOT more about college football than pro hoops (especially now that all the unis have been despoiled by ads). But, both were newsworthy, and Paul went with the NBA, but he certainly didn’t ignore the Pitt unveiling (which was a university-sport-wide event, not just football). Different authors, different perspectives. Paul had more than a one sentence “blurb” as you put it. Perhaps he was actually out and about on Sunday, enjoying his day off, and only saw the uni news late that evening? I don’t know, but I’m really into the college reveals, which is why I devoted so much space to them today. Sorry you were disappointed. Nike’s incompetence with the color green is making me believe in conspiracy theories. Like, the reason the Jets changed their uniforms is because Nike couldn’t get the colors right and got tired of trying, so they talked the Jets into changing.